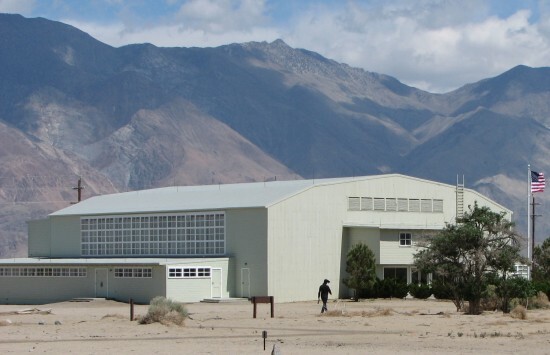 Congress established Manzanar National Historic Site in 1992, the result of decades of efforts by Japanese Americans and others. Since then, the National Park Service (NPS) has worked with scores of stakeholders to preserve and interpret Manzanar and its stories. In January 2015, Manzanar staff embarked on a Foundation Document development process. A Foundation Document articulates a shared understanding of important resources and values and provides a basis for planning. Along with Manzanar’s 1997 General Management Plan, the Foundation Document will help guide park planning and management. Superintendent Bernadette Johnson and park staff are hosting a series of “Open House” meetings to discuss the Foundation Document and provide updates on Manzanar. “As we move ahead with preserving Manzanar’s layers of history, we would like to invite the public to join us and give us feedback,” Johnson said. • Wednesday, Aug. 26, from 7 to 9 p.m. at West Los Angeles United Methodist Church Social Hall, 1913 Purdue Ave., Los Angeles. • Thursday, Aug. 27, from 1 to 3 p.m. or 6:30 to 8:30 p.m. at California State University Dominguez Hills University Library, fifth floor, 1000 E. Victoria, Carson. Park in Lot 6. The library is the tallest building on campus. Enter the second level (through the old Leo Cain Library) and take an elevator to the fifth floor. • Saturday, Aug. 29, from 3 to 5 p.m. at St. Francis Xavier Japanese Catholic Center, Maryknoll Activity Center, Room 3, 222 S. Hewitt St., Los Angeles. • Thursday, Sept. 10, from 6 to 8 p.m. at Owens Valley School Multi-Purpose Room, 202 S. Clay St., Independence. • Tuesday, Sept. 15, from 1 to 3 p.m. at California Hotel and Casino, Maile Room, 12 E. Ogden Ave., Las Vegas. The draft Foundation Document is linked (in PDF format) on Manzanar National Historic Site’s website at www.nps.gov/manz/parkmgmt/planning.htm. Those wishing to submit written comments can do so via email to [email protected] or by writing to Superintendent Bernadette Johnson, Manzanar NHS, PO Box 426, Independence, CA 93526. Comments are requested no later than Sept 15. Manzanar National Historic Site is located at 5001 Hwy. 395, six miles south of Independence. The visitor center is open from 9 a.m. to 5:30 p.m. daily April 1 through Oct. 31, and 9 a.m. to 4:30 p.m. daily Nov. 1 through March 31. For more information, call (760) 878-2194, ext. 3310 or visit www.nps.gov/manz or www.facebook.com/ManzanarNationalHistoricSite.